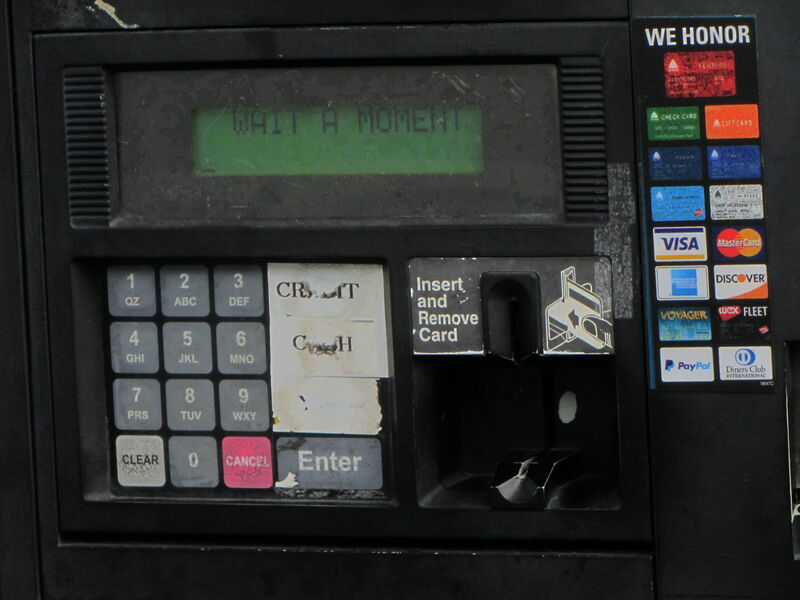 A quick hike to the adjacent pump suggested pressing the illegible key above Enter, but the UI timed out before I got back and the promised “moment” never ended. The attendant generated a receipt showing I’d paid for the gas and told me to jiggle the pump nozzle, which didn’t improve the situation. We eventually agreed he’d handle it later and I drove away, never to return, hoping that the next customer didn’t get a free fill on my dime dollar C-note.